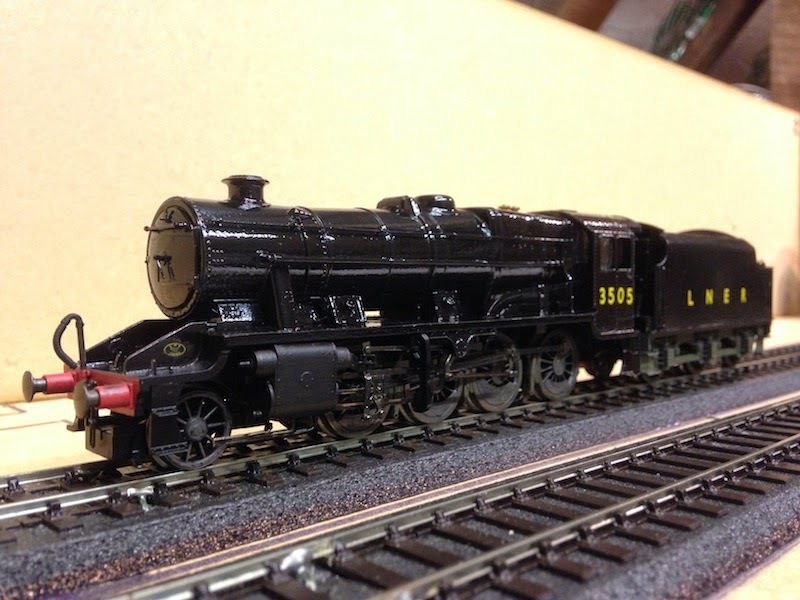 THE BRITISH RAILWAY STORIES LTD: "Class O6…no.3505"
In the second world war, something rather odd happened. 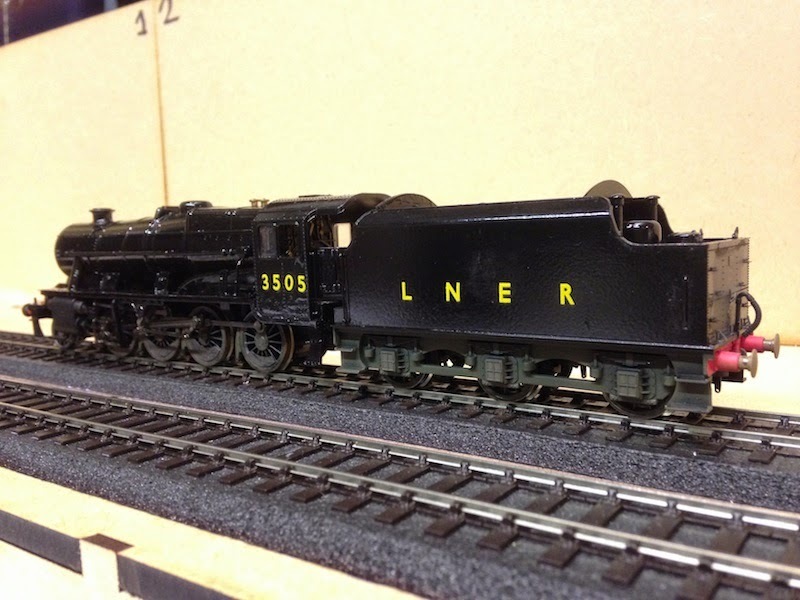 The London and North Eastern Railway (LNER) took delivery of several shed loads of London Midland designed Stanier 8Fs, or to give them correct classification (as this is an LNER centric blog after all) class O6. These excellent work horses were put to good use and were given Gill Sans yellow lettering and numerals to suit their new owner. I'd always wanted to model one of these, and to my delight some photographs show that they got as far south as King's Cross post war…! My chosen locomotive subject, no.3505, can be seen photographed in the appropriate Yeadon's Register in a surprisingly clean state. This model has been converted from a very badly battered Hornby model I bought off eBay for - wait for it - £15. Yes, £15. This model had no motor (bought for £5 and fitted for nothing), no tender frames (bought for £7) and the running plate was converted using a brass masters kit I bought second hand (£5). Total cost, £32. Who says budget modelling can't be fun?! Overall it's given me a nice unusual modelling subject and one which will raise a few eyebrows at exhibitions. I must admit, not being a Midland fan (at all) being able to work on a couple of Stanier's finest has made me appreciate the handsome clean lines of this design in particular. However, give me a Thompson O1 any day. Elegance re-defined in a beautifully utilitarian manner. 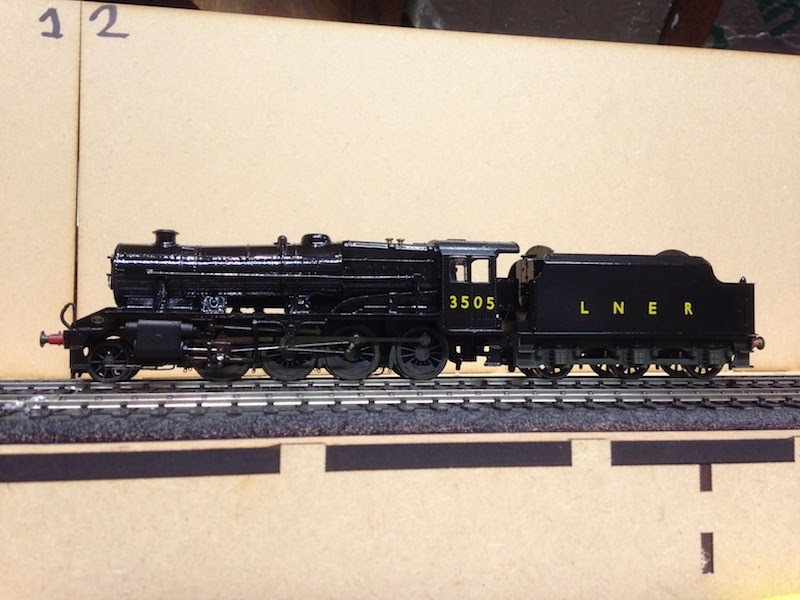 "Thompson B3/3, slight change to the chimney…"